If you are among the 2 million CenterPoint Energy customers in and around Houston, you are eligible to participate in electric choice in order to save on your electric bills. Electric choice means the ability to shop around for your electricity, and retail electricity providers are the companies that sell it. An abundance of retail electricity providers are available in the CenterPoint Energy service area. You’ll find that many of these providers are offering lower electric supply rates than what you’re currently paying – which allows you to save big. No matter who supplies your electricity, CenterPoint Energy will continue to deliver your electricity with the same reliability as always. 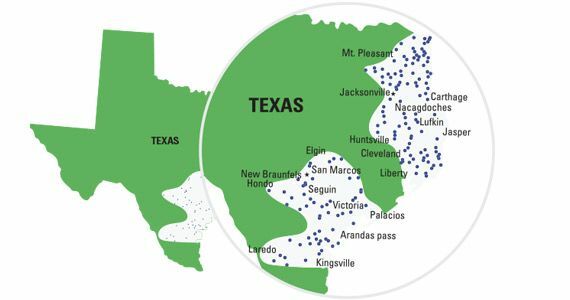 Electric choice in Texas means that CenterPoint is only permitted to profit from the distribution and transmission of electricity and not the actual supply of electricity, so there is no incentive for the utility to compete for your business as a supply customer. Continue on to learn more about CenterPoint, why you should switch, how to compare providers, and how to switch. Once you’ve selected the best provider for your needs, the switching process is simple and will only take a few minutes of your time. CenterPoint Energy delivers electricity to over 2 million residents and businesses in the 5,000 square-mile service territory in and around Houston. We can’t tell you which provider and plan to choose, but here at ElectricityRates.com, we’ve provided you with useful information that can help you make a better decision. If you are looking for new Centerpoint electricity rates for your home or small business, use the free Compare & Switch tool – to the right side of this page. Enter your zip code, click search and then select CenterPoint Energy as your utility. Here, you’ll see a list of providers and their rate plans that are available in your area. Now you can start shopping! Switching Centerpoint electricity rates is fast and easy once you’ve selected the best retail electricity provider for your needs. You can easily switch through the Compare & Switch tool. Just click on the plan you want and fill out the online form. Be sure to have a recent electricity bill on hand so you can provide your account information. There’s no need to contact CenterPoint Energy – your new provider will do all the switching for you. The reliability of your electric service will NOT change, since the delivery of electricity is the responsibility of the utility, CenterPoint Energy. You’ll continue to receive your electric bill from CenterPoint Energy and you should continue to contact them for any emergencies or issues such as power outages and downed power lines. The only real change is a different rate on your electric bill, which will appear in one to two billing cycles.